Has Your Business Gone Through B2B Buyer Persona Development? A buyer persona is a hypothetical profile of a real person who buys from a business or influences the buying process. These profiles include basic information about a person such as gender, age, income, marital status, and professional goals. When used effectively, buyer personas help a company in numerous ways. Here are five important reasons that your business should take the time for B2B buyer persona development for your service or product. B2B buyer personas help your sales team by giving them a defined set of beliefs, buying motivations, and personality traits to use in their interactions with customers. When your sales professionals have a better idea of what kind of customer personalities they are dealing with, they will do a more efficient job of appealing to these specific desires. Lauren Sorenson writes in a HubSpot article on personas that they help the sales department tailor their pitch and gain a more clear understanding of how to close the sale. Once you create B2B buyer personas for your business, there is no law that says you cannot change them. As your business grows and market conditions change, you can alter your buyer personas as a way to adapt to these changes. Altering buyer personas allows your business the opportunity to give market changes a quantifiable impact on your policy: you will not only understand how your targets might have changed over time, but you will account for them in your daily operations. 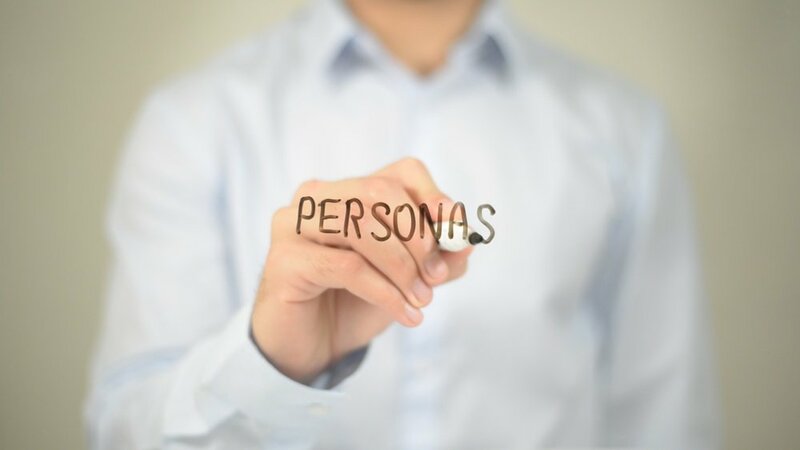 Although your sales and marketing departments may come immediately to mind when you think about buyer persona development, these are not the only people at your company that will benefit from personas. Customer service representatives, administrators, and other team members that may interact with current and future buyers must understand the customer and how best to make them happy. Buyer personas will ensure that there is a unified understanding of how to please customers across your entire business, which will help increase customer satisfaction and retention rates. Lead generation is one of the most critical activities for businesses that want to keep their sales pipeline full. Successful lead generation requires the tailoring of your marketing efforts towards the right people, and buyer personas are a crucial tool in this shaping. On a Salesforce Blog post about lead generation, Jonathan Pavoni refers to the buyer persona as the foundation on which an organization’s content marketing is built, because content needs to focus on addressing the values, issues and concerns that your buyer persona cares about. If you are going to be offering new services or products and want to be as successful as possible with them, referring back to your buyer persona will be extremely helpful during the development stage. Using your B2B buyer persona, you can come up with problems or challenges in the marketplace that are not being adequately addressed. You can then work on creating a new service or product that will address these challenges. You will also be able to use your buyer personas to revitalize existing products that you want to position more effectively in the marketplace: by referring back to your buyer personas, you may be able to add to or completely overhaul your existing advertising and marketing techniques. To gather information that will help you with buyer persona development, your company can conduct research about your industry or interview some of your current customers. In today’s competitive economy, knowing your customer and what they need is integral to the success of your business. If executed properly, creating and consistently updating your company’s buyer personas will provide an exponential return on investment. If you have any B2B buyer persona questions or if you would like to learn some buyer persona examples, contact us today. Get Top Rated Content Marketing Posts Delivered Right to Your Inbox. Need Help Finding Great Writers? Need to Discuss Your Content Strategy?